I hope you are having a great weekend. I finally have a little crafty time today, so I decided to play along with some challenges. I used the sketch of CAS(E) this sketch and the watercolor fun from Pretty Pink Posh. So here is my card. All the stamps are Simon Says Stamps (Always and Forever for the flowers and Sending happy thoughts for the sentiment). To color I used Derwent Inktense colored pencils and distress inks. Thanks for your visit and I'll see you soon. Wow Loly! I really like how you've framed the card. 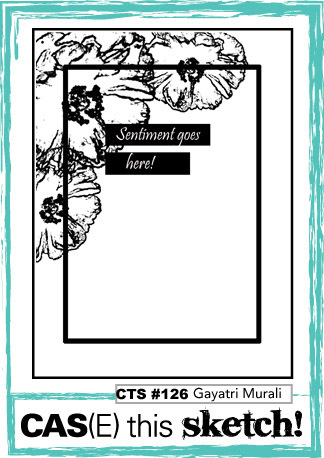 It is a wonderful look for a thoughtful card with that sentiment. Always love seeing you play along! Thank you sweet friend! Your encouragement means the world to me. Big hugs. This is so very pretty. Love your water coloring. This is beautiful. Love the layout of your card. Great job casing the sketch! I love the colors you used. Very pretty! 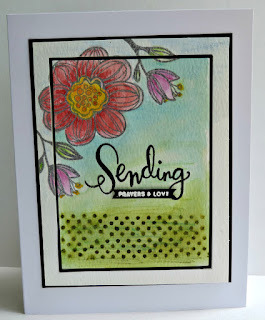 Loly - first of all, GREAT job on this card - so lovely and I am so impressed with the way you made a card that meets that sketch and the watercolor hop!! 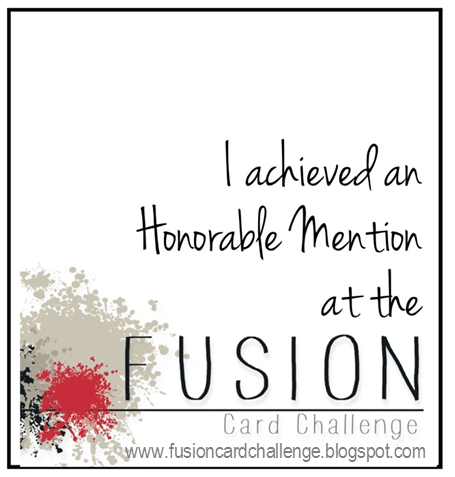 The colors and details in your work on this card are amazing and so impressive!!! Second of all, THANKS so much for coming by my blog to visit me - I so appreciate it!! Hope you have a delightful week!! LOLY! 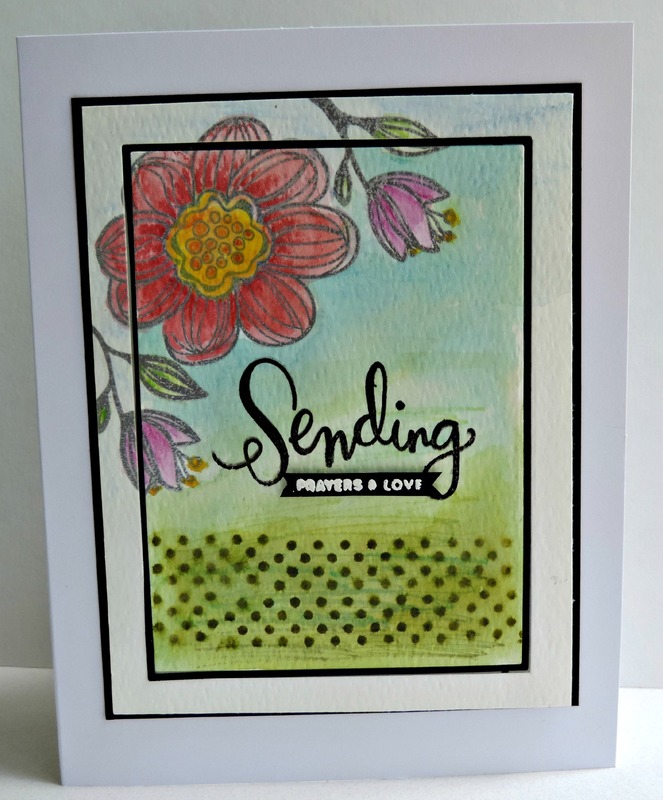 Such pretty watercoloring, love your card! So pretty! Great take on the sketch! Beautiful use of the sketch, Loly! How pretty! The watercoloring is wonderful!